Galeo is state-of-the-art geolocation calculator. You can use it to locate remote IP address using classic ping or traceroute utilities. 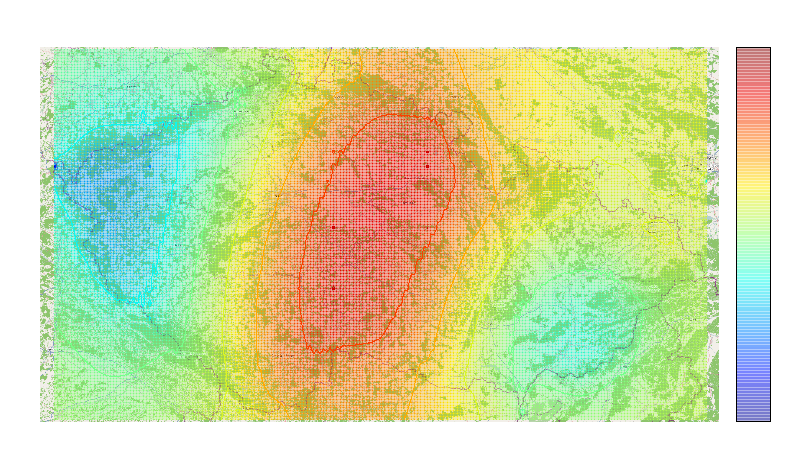 the algorithm is extensible, reads various data resources including direct or probable positions of HW elements, their density in any part of the map, etc. list of areas annotated by population density, etc. The system measures the quality of connections between all acting networks. It guesses and measures various parameters. This way it gets a lot of data to guess the network topology and calculate the positions of any network element. The technique is similar to weather forecast, so that the computation is time consuming and requires you to employ multi-core computers. 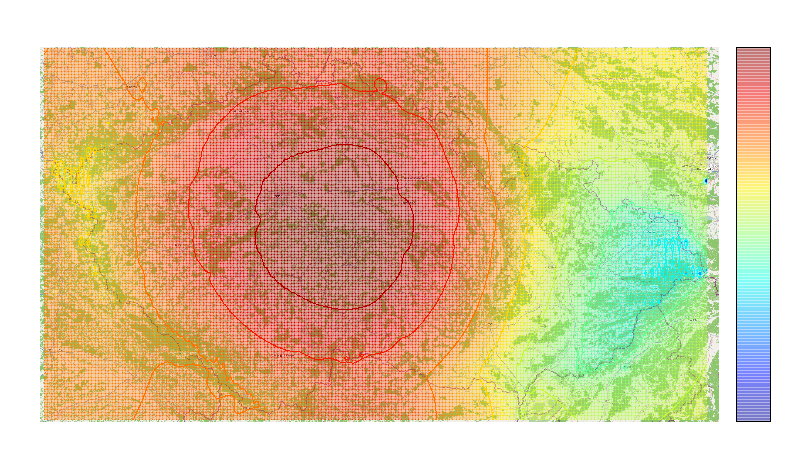 The following example shows the performance of the algorithm using 9.6km (6miles) calibration precision. 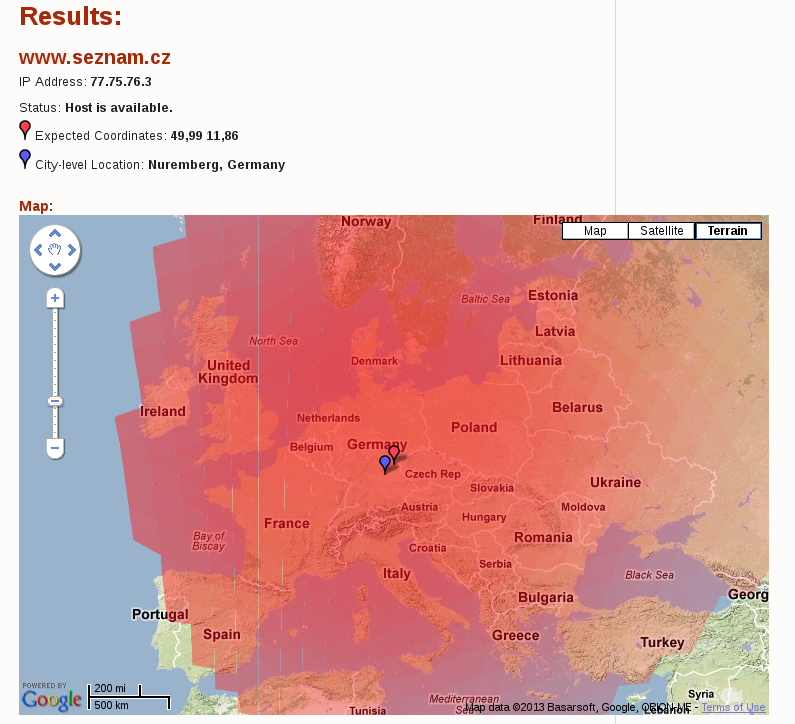 The target is seznam.cz site - one of the largest search services in the Czech republic. 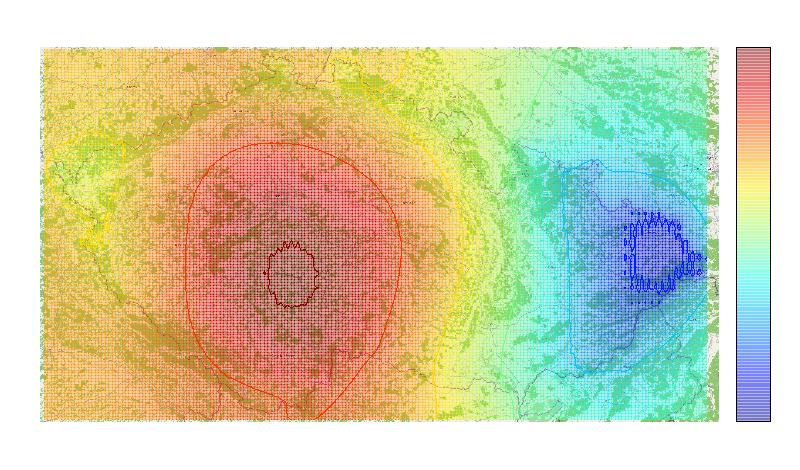 The next four pictures represent four snapshots of the network where the algorithm detected the target site. 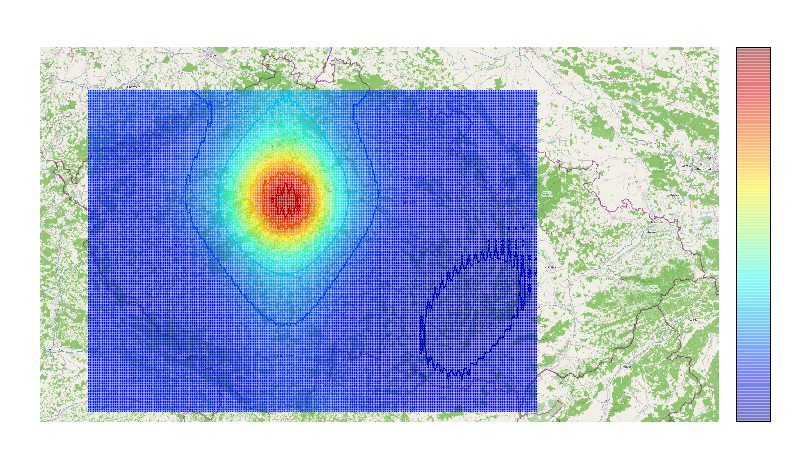 Finally, the four snapshots (and many supporting measurements) imply the final result: the location is Prague (50°3'37.325"N, 14°25'10.929"E), diameter 45km. Yes, the target is located in Prague. 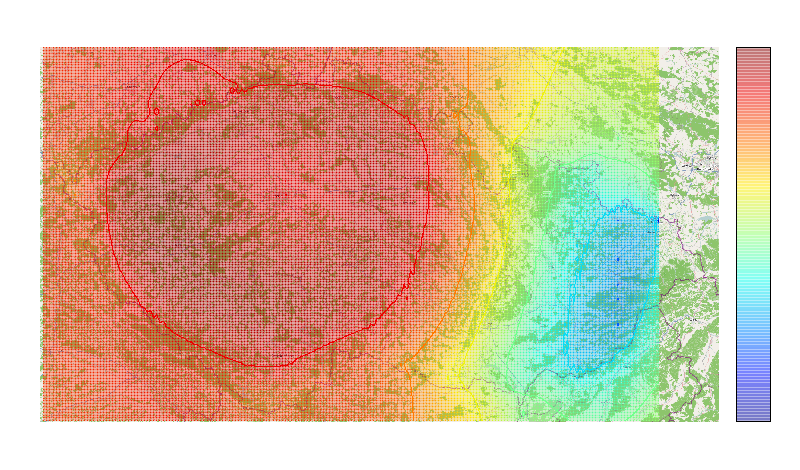 Output of the SPOTTER algorithm.